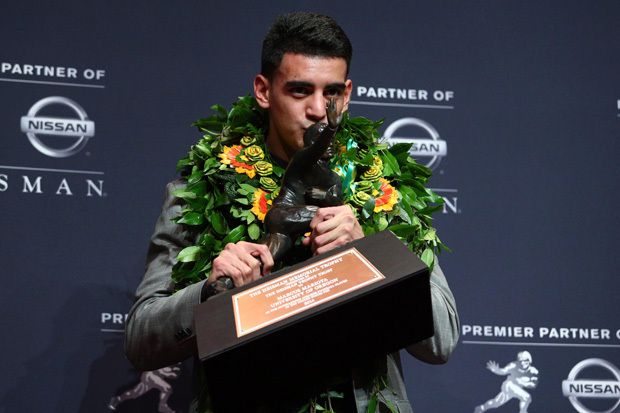 Marcus Mariota, the University of Oregon’s dual-threat quarterback, is a 2011 graduate of historic St. Louis High in Honolulu. Though he and his family are not Catholic, Mariota attended Mass at St. Louis and also is a regular at the Ducks’ weekly team Masses and shows up at campus ministry liturgies on occasion. One story circulates around the Ducks’ team. A teammate once had car trouble a few hours south of Eugene, Oregon. Mariota drove the whole distance, helped get the vehicle going and then refused payment for gas.